Since I first open my blog, I wanted to write about this remarkable woman, but it took me time to finally put in place a full article. Her trajectory is so vast and she has so much art to share that it’s almost impossible to put it in just one post. She had the opportunity to live and exhibit in different Cities around the world. In the early sixties she went to Paris and is during this period that she developed a ‘Destruction’ Facet. 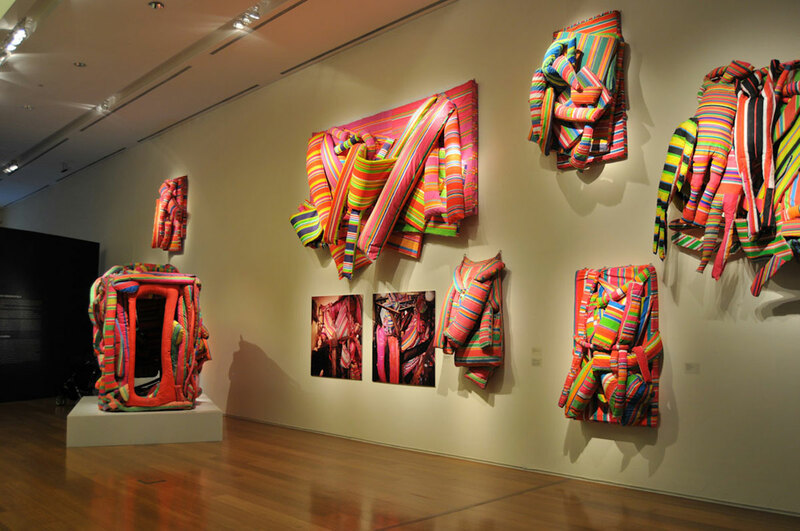 Her time in the French Capital City inspired her to create “livable sculptures,” notably La Destrucción, in which she assembled mattresses, only to invite other artists to destroy the display. This creation was the first of her “Happenings”. 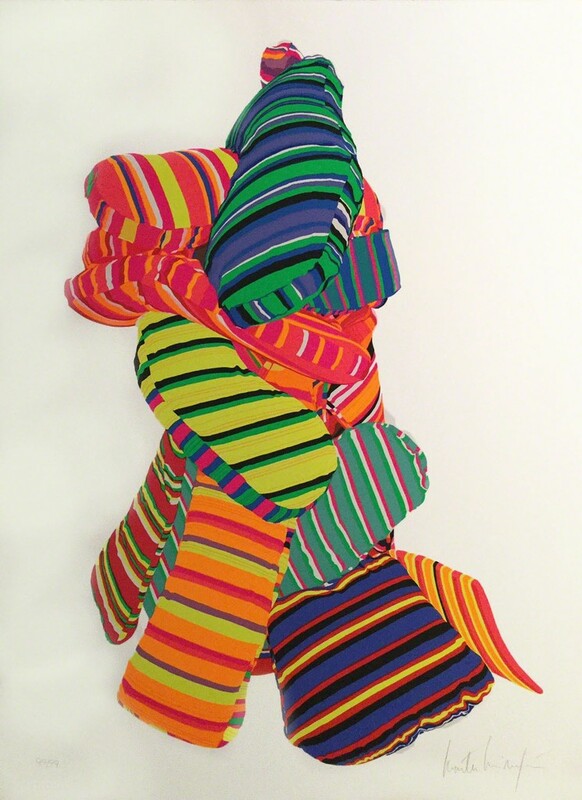 A golden era began for Marta back in Buenos Aires, several exhibitions & Installations, mainly influenced by pop art. These works earned her a Guggenheim Fellowship and she relocated to New York in 1966, just in time to escape the Argentinean art censorship times. 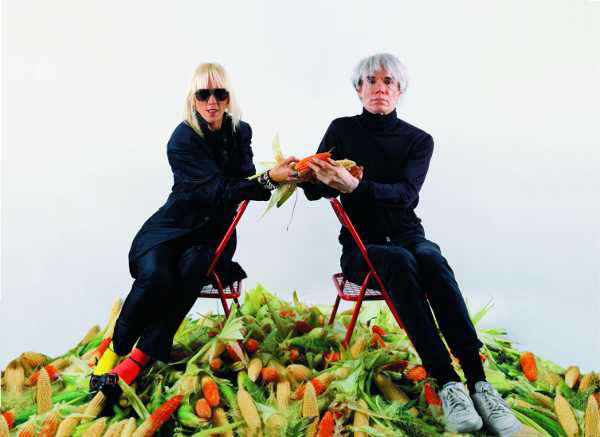 Marta began a psychedelic art époque in New York and developed a close friendship with the one and only Andy Warhol. One of her best-known works from those years, Minuphone (1967), invited viewers to enter a telephone booth, dial a number, and watch as sounds and colors projected from the glass panels, while a television screen on the floor displayed the caller’s face. 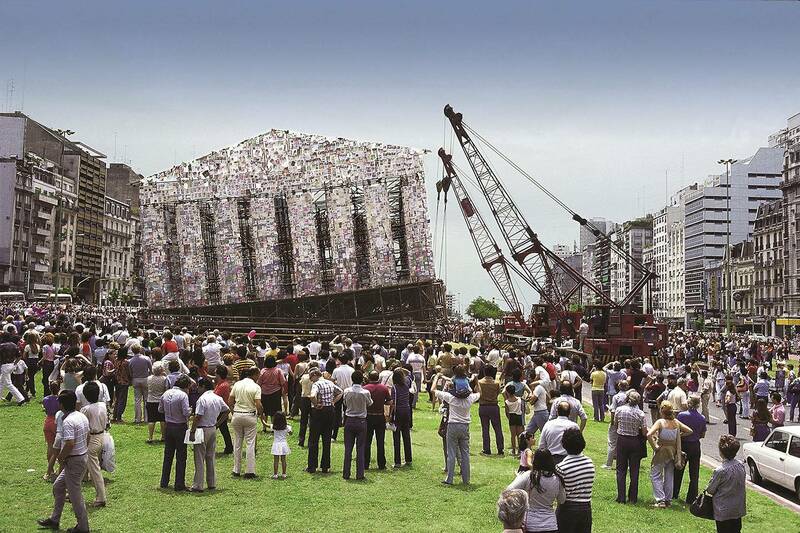 Following the return of democracy to Argentina in the eighties, Marta created a monument to freedom of expression, The Parthenon of Books (1983), in which a structure built of newly 30,000 unbanned books was erected in the middle of a Buenos Aires thoroughfare. 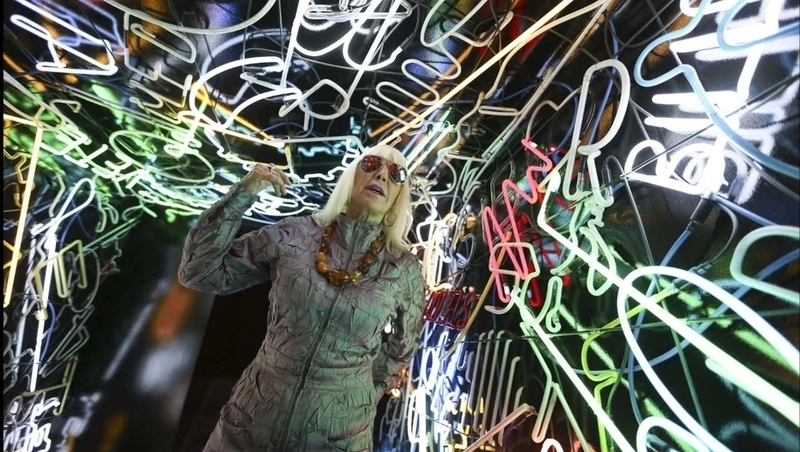 I always admired her work, but a couple of years ago I had the opportunity to see her exhibition: Retrospectiva sobre Marta Minujín “Revuélquese y viva (1964-1985)” at the MALBA and I fall in love with this Eccentric and hyperactive woman, with her different perception of art, her personality, her uniqueness. I think everybody should know of Marta Minujín, the woman who believes that “Great works are created by mad geniuses” (“Las grandes obras las crean los genios locos”). 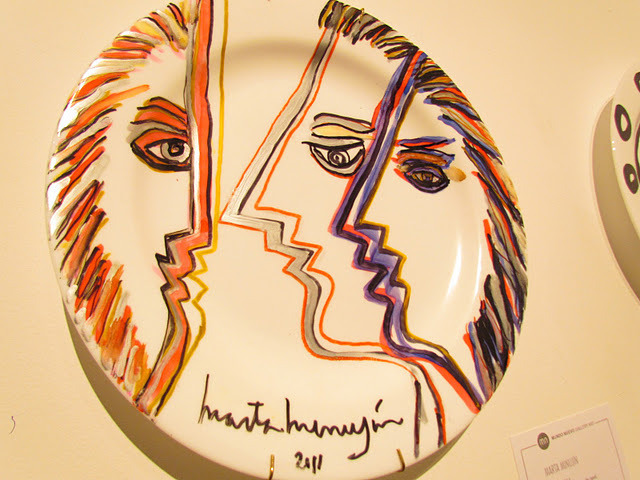 Marta continues to display her art pieces and happenings in the MALBA, the National Fine Arts Museum, ArteBA contemporary art festival and a vast number of other international galleries and art shows, while continuing to convert everything into Art. 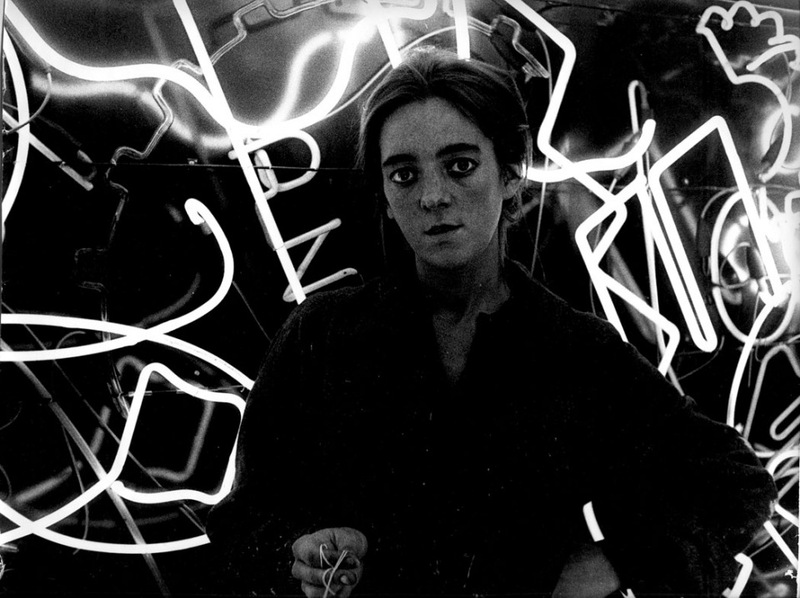 Retrospectiva sobre Marta Minujín en 2011 en el Malba: “Revuélquese y viva (1964-1985)”. Alexa Meade is one of the coolest artists I’ve discovered this year. She graduated with a bachelor’s degree in political science but fortunately she decided to put an end to her bureaucratic career to pursue her dream to become a professional artist in 2009. Nowadays, she is a curious installation artist, best known for her portraits painted directly onto the human body. Alexa takes an innovative approach to art. She describes her style of painting as a reverse Trompe-L’Oeil. Unlike a traditional Trompe-L’oeil painting which tricks the eye into thinking a 2D canvas might be a real 3D space, Alexa does the opposite, she takes the 3D world and creates the illusion that it is a 2D painting. This Goddess travels the world creating art installations and commissioned portraits. She has exhibited her art at the Grand Palais in Paris, painted a MINI Cooper on the streets of Tokyo, Graffiti-ed Living Murals in San Francisco and also delivered a TED Talk which I really recommend. Below, my favorite Living Paintings. Kiki Kogelnik was an Austrian painter, sculptor and printmaker. She is considered Austria’s most important pop-related artist. In 1961 Kogelnik moved to New York and joined a close-knit group of artists that included Roy Lichtenstein and Andy Warhol, among others. Her work during the 60’s was strongly influenced by the pop art colors and materials of the time, producing numerous brightly colored euphoric space-themed paintings. She began to use life-size cutout paper stencils of her friends to produce her paintings. In 1965 these prototype cut-outs became vinyl hanging. Since August 2015, The Modern Art Oxford Museum is presenting the first solo exhibition in the UK of this acclaimed Austrian artist. I had the pleasure to be there. She captivated me with her simple but unique style and exuberant palette. Fly Me To The Moon surveys the diverse practice of this remarkable artist, focusing in particular on the works produced by Kogelnik during her time in New York . The exhibition includes a number of paintings, sculptures and drawings which reflect the tumult of the Cold War era, when the Space Race was at its height and fears of nuclear annihilation were growing. 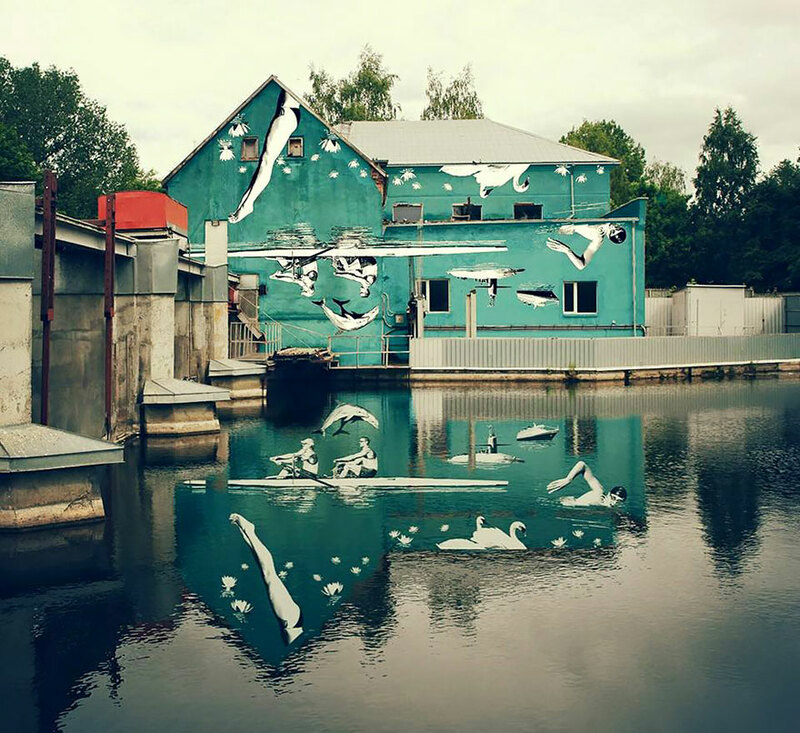 The Lithuanian-born artist and illustrator Ray Bartkus has created an amazing, almost unreal, mural in the Lithuanian city of Marijampolė designed to use the surface of the water as its true canvas. The artist intentionally painted it upside-down so that the images he depicted would be reflected right-side-up onto the river Šešupė, which flows through the city’s center. Impressed by this Mural, I decided to study more about Ray and discovered an awe-inspiring artist. 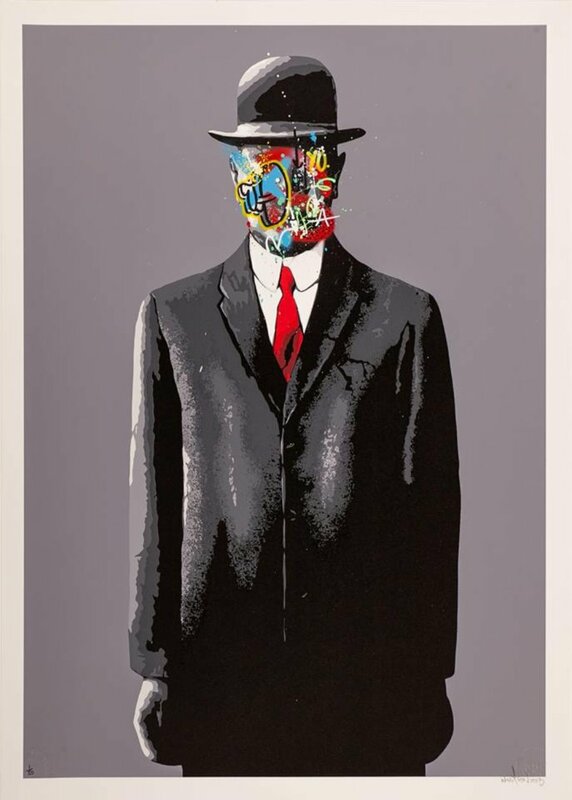 Among his works I found prints, illustrations, videos, installations, drawings and paintings. The last ones are just amazing. Creating immersive environments, Bartkus’s monumental, figurative paintings embrace and engulf viewers, projecting them into compelling, mysterious domains. Bartkus’ “Beauty and the Beast,” 2006-2009. While visiting the enchanting Hungary, we decided to escape from the city and take a day off in a small riverside town in the Pest county. Szentendre is known for its museums, galleries, and artists. Just before the end of a perfect day, we came across with an art shop that drew our attention due to the bright colors behind the window. The Old Goat Art Gallery. We had the pleasure to meet the owners, the artists Eszter Gyory and Osiris O’Connor, the coolest and most captivating couple I’ve ever met. Osiris was born in New York City. But his blood is from all over the world, Japan, Jamaica, Miami, Ireland and who knows what other nationality composes his hierarchy. You can see in the way he expresses himself, either talking or artistically, that he enjoys of diversity and different cultures. Osiris is very deep and spiritual; his work is a reflection of his most deeper thoughts. We mainly saw in the gallery his sculptures, magnificent pieces made of mud and different materials such as buttons, beads, pearls, pins, wire and even skulls, real monkey skulls!!! Gyory however, is more focused in painting. She loves exploring different materials but on canvas, such as fibers, acrylics, pigments and textures. I don’t know how to define her style; maybe, “nomad” is a good word because she can’t marry to only one, she changes from one style to another all the time, adapting herself to new materials and technologies. Within the hour we’ve been chatting, we had a journey across her artistic career and her paintings have been mutating throughout the years from flowers, dogs, abstracts, angels, children, self-portraits, and more and more, but all of them, original, super colorful and full of life. She was born in Hungary but lived many years in Miami. Meeting them was definitely the best of the day. We learned from them, from their stories, from their way of seeing life. We really enjoy of their success and joyful careers. I hope we can be like them someday and inspire to others what they have inspired to us. 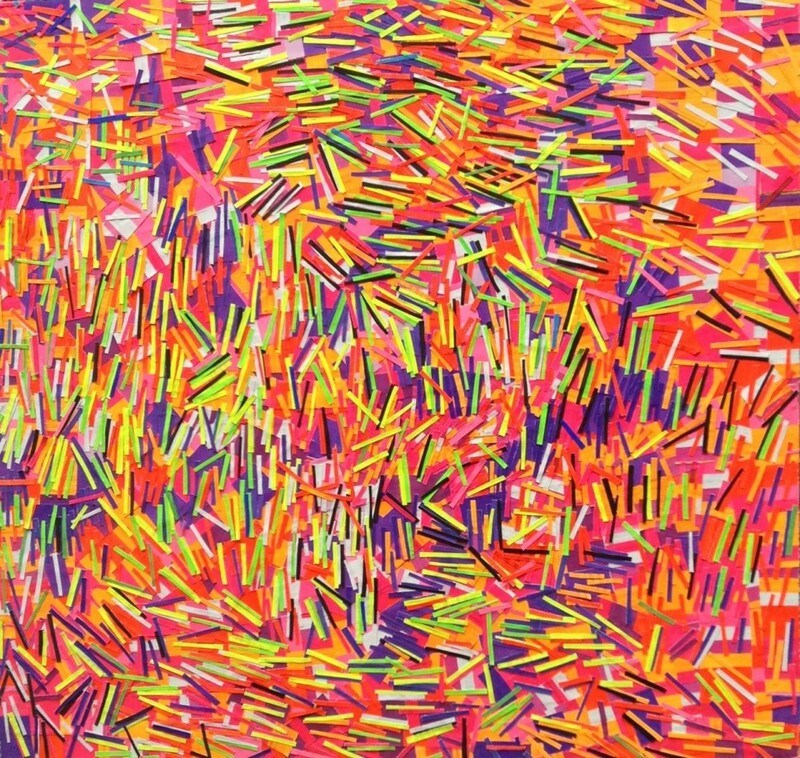 Surfing the web, I came across with some abstract paintings that really caught out my attention, mainly because of the bright colors, the perfect and balanced composition and the different materials used. Investigating a little bit, I discovered AbbyCreekStudios. 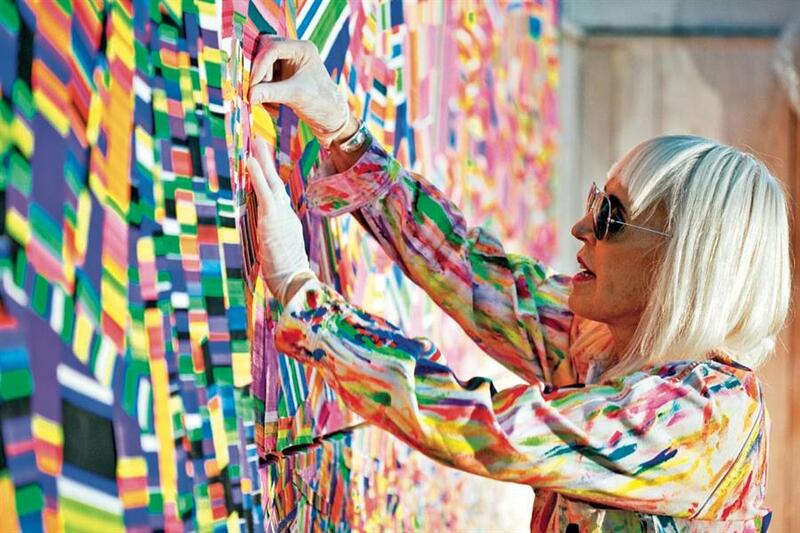 Linda is a Californian artist who for the past 17 years devoted herself to abstract expressionism. Her creative voice expresses herself in different ways; bending and shaping using acrylic paint, collage, ink and whatever else she can get her hands on. She really knows how to let her mind to fly! She works on canvas, paper and wood. The last ones are my favourites! 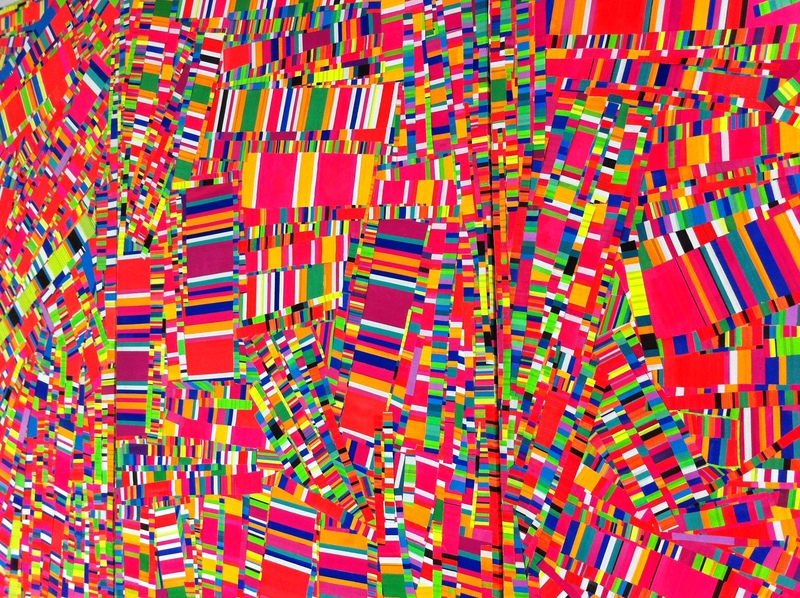 Matthias Weischer is a German painter who has lived and worked in Leipzig since 1995. He is considered to be one of the most talented members of the new Leipzig school, a loose assembly of artists whose works are regarded as the next generation in the rich history of German painting. However, there is no doubt that Weischer’s works stand out as unique. He called my attention because his cool works oscillate between abstract and figurative painting. Until 2006, his paintings depicted deserted interiors like stage settings that are infused by abstract elements. Furniture, everyday objects and large-scale ornaments stylistically refer to the 1950s and 1960s. In their collage-like appearance they establish a complex and ambiguous relationship. During his residency in Rome in 2007, Weischer concentrated on drawing and studies on nature and landscape. Since then, he predominantly works on and with paper, in smaller formats and with a lighter range of colours. 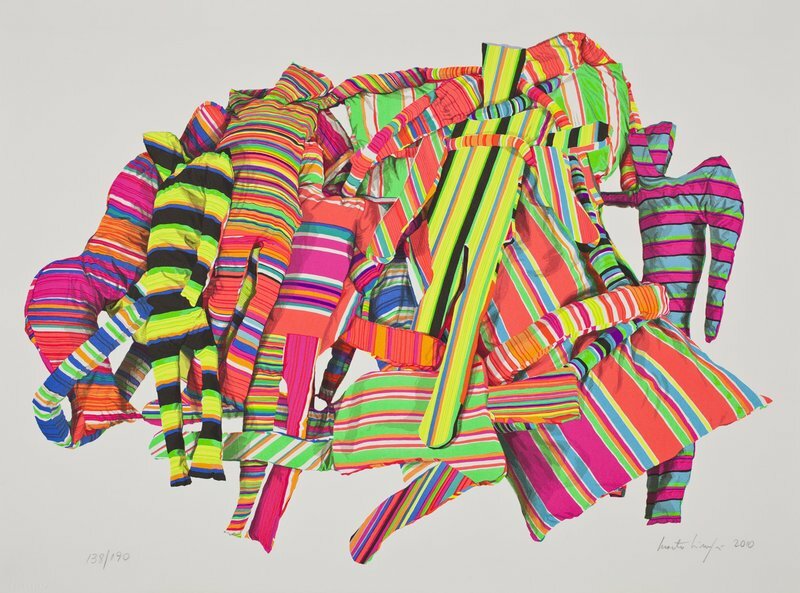 He also explores different printing techniques and, recently, three-dimensional sculptural arrangements. Bernard Pras is a French painter, photographer and sculptor. He is known for creating mind-boggling anamorphic illusions. 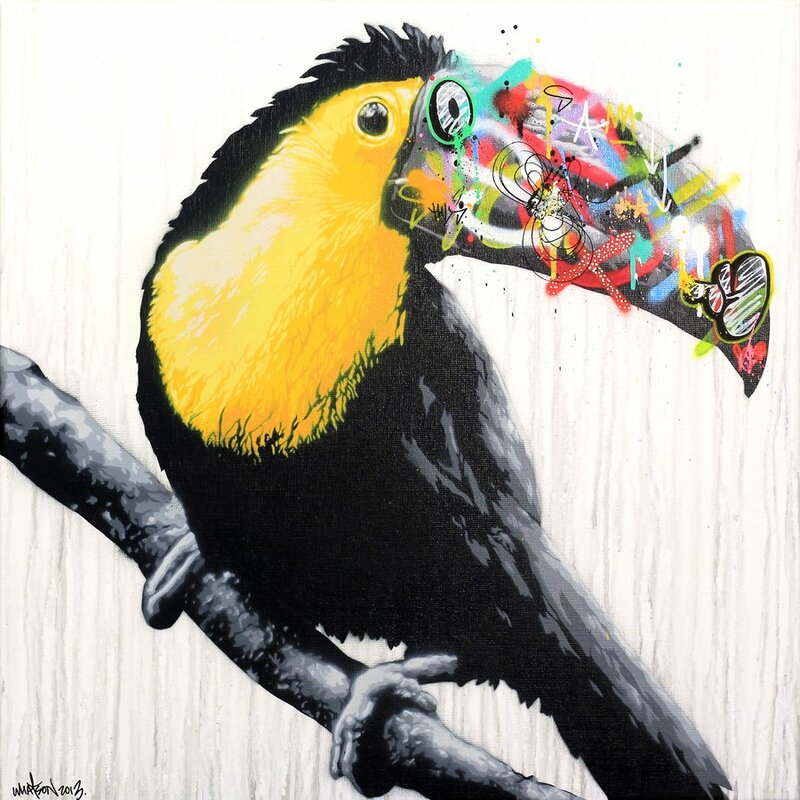 His pallet consists of found objects, wood, textiles and plastic toys. He makes use of everything that has the right color! Take a look at this video and you will be amazed by his Job! His latest installation is at Le palais idéal in Hauterives, France. When viewed from the right perspective, a seemingly random pile of trash is revealed to be an enormous sculptural portrait of Ferdinand Cheval. To create this masterpiece he used discarded and broken chairs, boards, figurines, and other items. 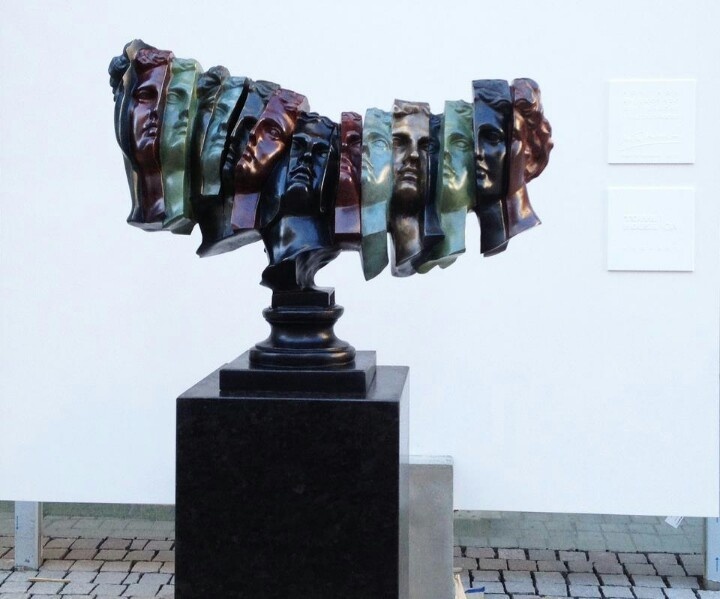 Looking at each individual component and its precise placement in the overall portrait, one can’t help but marvel at the artist’s eye for perspective and his painstaking assembly of the piece. 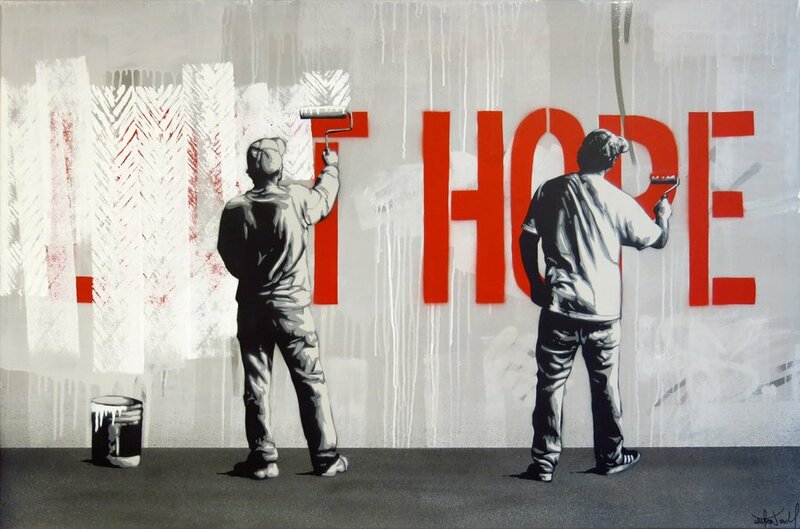 The French artist force us to re-examine the way we look at visual art – which is itself a prism through which the artist channels a unique way of translating thoughts, emotions and ways of interpreting the world around us. 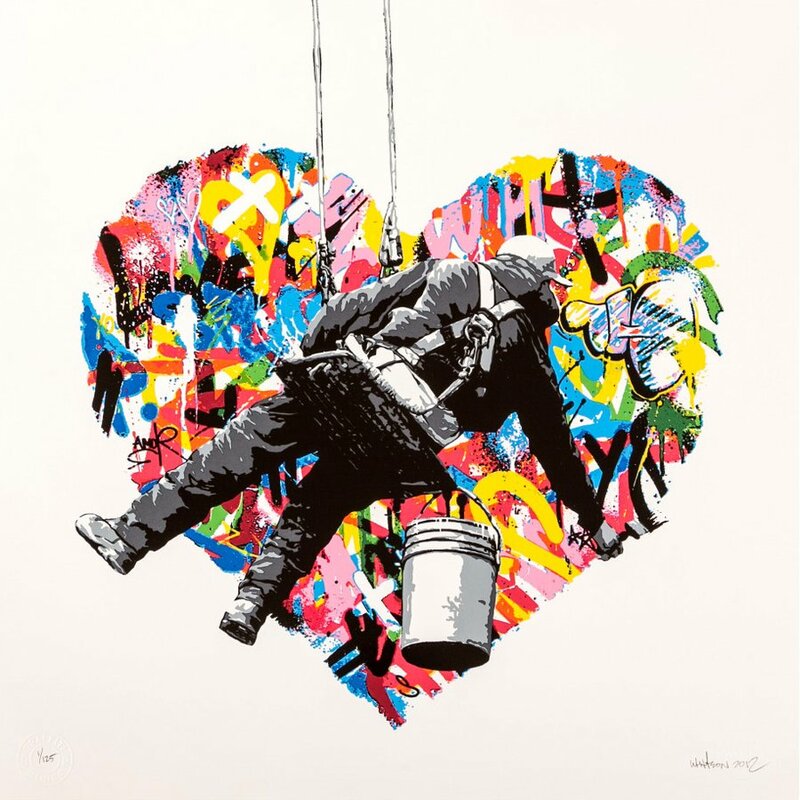 Martin Whatson is a Norwegian born and based stencil artist. 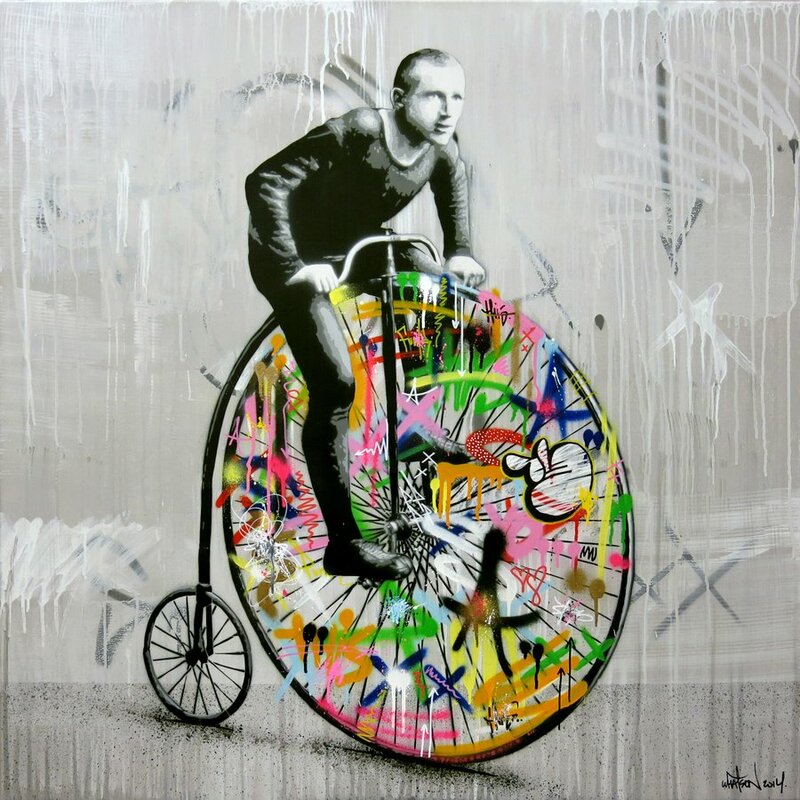 While studying Art and Graphic design at Westerdals School of Communication, Oslo, he discovered stencils and the urban art scene. 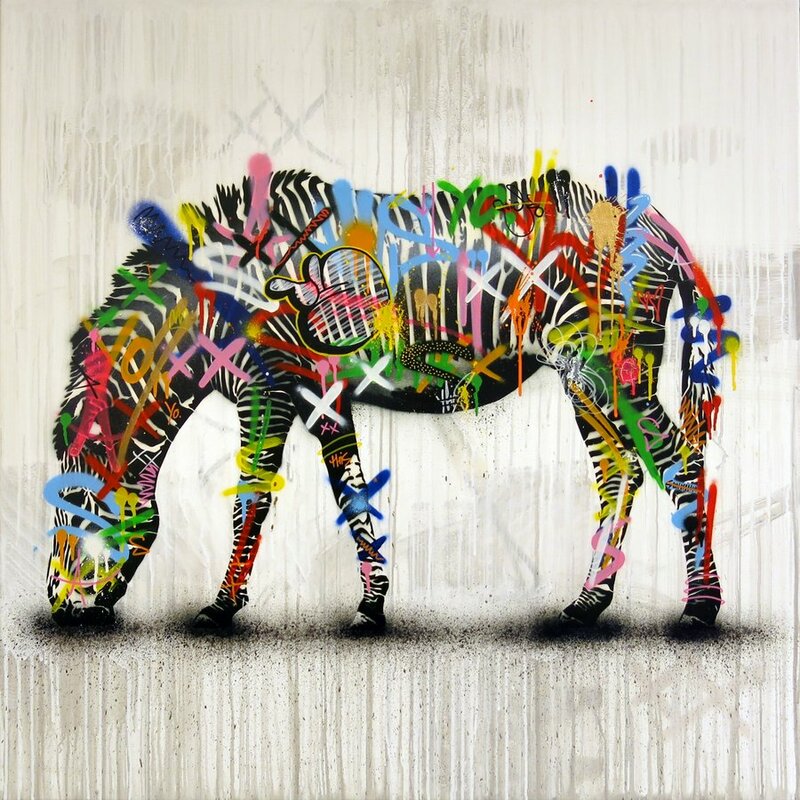 After following graffiti and its development, he started his own stencil production 10 years ago in the winter of 2004.